The company's Q4 results made for pleasant reading. 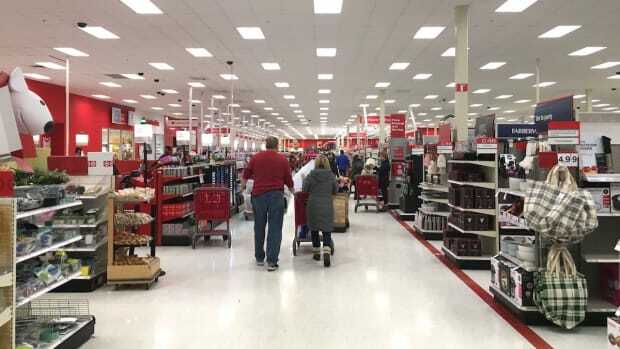 Target has released its 4th Quarter results early Tuesday morning, revealing among other things a rise in total revenue to $22.8 billion compared to $22.5 billion. What was already a good Holiday season got even better in January, with comparable sales growing by 4 percent compared to a year ago, contributing to a 3.6 percent growth in overall sales. In an otherwise good news update, Target&apos;s profits were slightly below what analysts predicted, at $1.37 per share compared to $1.38. The main reason for this is it&apos;s now paying its workers more after raising hourly wages to $11 in 2017, committing to reach $15 by 2020. This was enough to send Target&apos;s share price down 4 percent in premarket trading thanks to some very fickle investors. All of a sudden Target seems on much firmer footing. A year ago, Target reported a 1.5 percent drop in same-store sales in Q4, but now it&apos;s surging ahead. It&apos;s also making more sales online, with a 29 percent rise in digital sales meaning Target.com now accounts for 8.2 percent of the company&apos;s total revenue, CNBC notes, compared to 6.8 percent a year ago. Over the next 12 months it&apos;s predicting growth in the low single digits, but 2018 is looking increasingly like a year in which Target positions itself for future growth. It announced on Monday that it will be remodeling 325 stores in 2018 – of which 28 are in the Twin Cities – as part of a $7 billion reinvestment into the company through 2020. – Target is spending $250M to upgrade 28 Twin Cities stores. This will see more smaller-format stores opening, upgrades to existing locations, improvements to its app and the continued roll out of more private labels. In its statement on Tuesday, Target CEO said 2018 would be a "year of accelerations in the areas that set Target apart – our stores, exclusive brands, and rapidly-growing suite of fulfillment options." "While we have a lot left to accomplish, our progress in 2017 gives us confidence that we are making the right long-term investments to best position Target for profitable growth in a rapidly changing consumer and retail environment," he added. The company says store remodels are helping grow traffic. The clothing company announced it won't renew its Target partnership in 2020. The Minneapolis retail saw comparable sales grow 5.7 percent over the festive period. After appearing to turn the corner after the doldrums of the data leak, Target is facing challenges again. Slumping electronics and entertainment sales hit Target in the pocket this past Christmas. It still enjoyed its best quarter for traffic in 10 years.